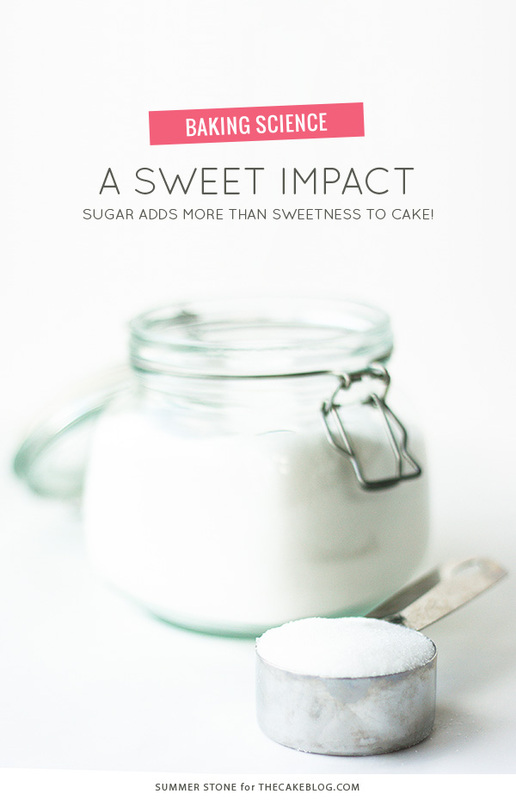 Sugar plays an important role in any cake recipe. Without the inclusion of sugar, a cake would be bland and uninspired in relation to flavor, but did you know that your cake would also be pale in color, squatty and dense? Sugar’s effects on cake are quite diverse. To really get a feel for the importance of sugar in a recipe, I baked cakes with anywhere from no sugar at all to one and a half times the standard sugar weight (2:3 sugar to flour). 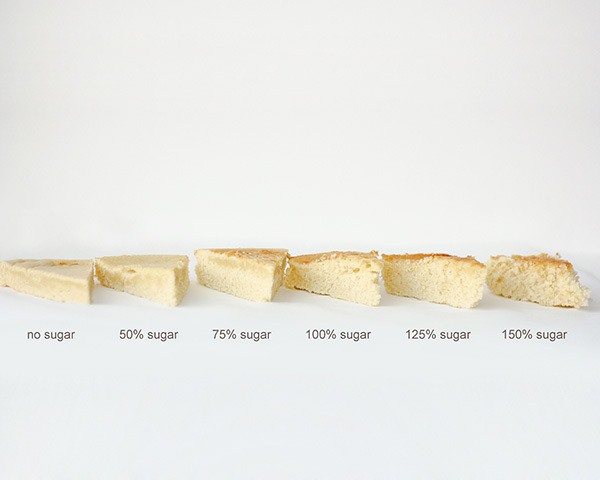 How does changing sugar volume affect your cake? Read ahead and you may be as surprised as I was by the results. Flavoring – While we first think of sugar providing sweetness, it also provides a platform for caramelization and browning. Without sugar, cake has a raw-like flavor, devoid of nuances that come out as sugar decomposes in caramelization and as it contributes to browning in Maillard reactions. The result of sugar’s presence is a “baked” flavor in cake. 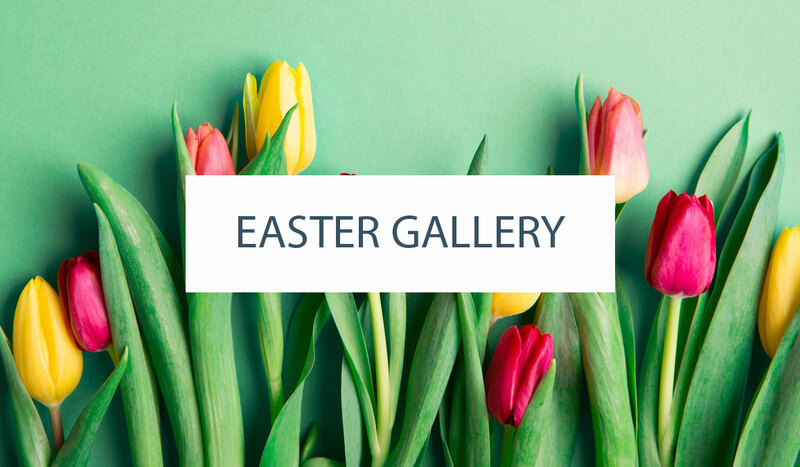 Tenderizing – Sugar essentially weakens structural agents in a batter; it slows and reduces protein-protein interactions such as gluten formation and egg protein solidification. Sugar can also slow starch gelation and increase bake time. Moisture – Water molecules are attracted to sugar so the presence of significant sugar in a cake will help capture and hold on to liquid. This results in a moister cake. 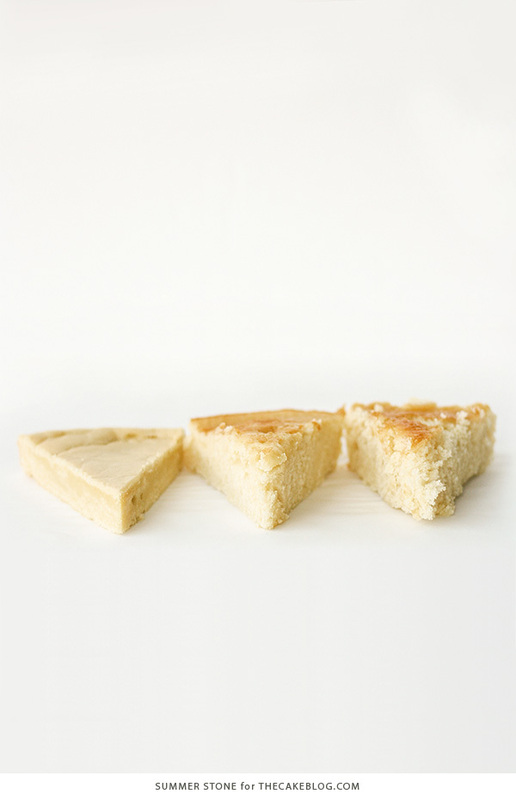 Leavening – When sugar is creamed with butter, the sugar crystals help drive air into the mixture. As the cake bakes, these air pockets expand causing leavening. Before this baking experiment I believed I had a fairly good understanding of how sugar contributed to a final cake product. Nonetheless, I was very surprised by the outcome of testing. I expected the sugarless cake to be relatively fluffy since sugar would not be present to undermine the structure due to its tenderizing effects. I also believed that the high-sugar cake (150% sugar in relation to the standard) would collapse due to structural modification. The result was quite the opposite. I failed to predict the great effect of moisture attraction on leavening. In this experiment, I did not cream sugar with butter, so I did not believe the leavening differences between a sugarless and high-sugar cake would be incredibly noticeable. Instead, the leavening seemed to be the most obvious dissimilarity between cakes. The cake with no sugar was very short and dense while the high-sugar cake was the most light and fluffy. Shocking! It seems that as the sugar holds on to water, it provides a venue for liquid to gas expansion that creates a great deal of rise in the cake. 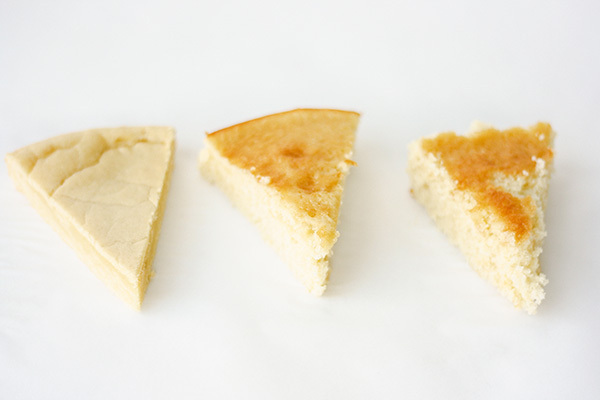 In addition to the height/leavening differences, it was clear that the no-sugar and low-sugar cakes were quite pale compared to the golden-brown color or the normal and high-sugar volume cakes. This translated to taste as well, with the higher-sugar cakes having much greater depth of flavor than their low-sugar counterparts. 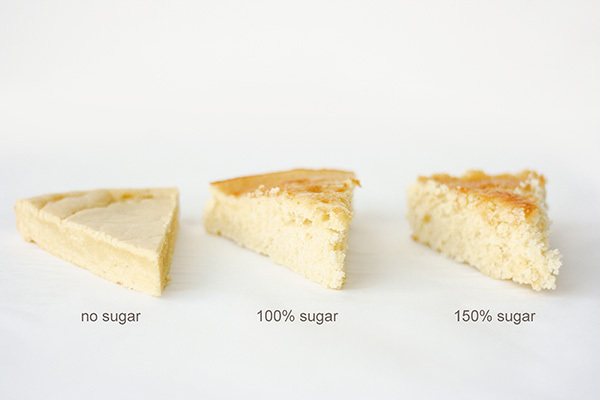 In the above photo, you can see the effects of tenderization, especially between the cake with a normal amount of sugar (100%) and the high-sugar cake (150%). The high sugar cake is fluffy but also crumbly and loose. This cake was so tender it was barely holding itself together. The high-sugar cake, with 150% the weight of sugar in a standard recipe, was quite sweet but it was still amazingly unoffending. The cake with half the sugar was mild but maintained a nice, sweet taste. This goes to show, there is a lot of wiggle room when playing with the sweetness factor in a cake recipe. Sugar has a wide variety of properties in a cake but leavening and flavor seem to be the most noticeable factors. While sugar in a standard volume of 2:3 sugar to flour results in moderate sweetness and leavening, you can easily modify your cake by either increasing or reducing the amount of sugar you use. Let me know how much sugar you like to use in your cake recipes. I love this kind of posts! I leave about a 1/4 cup more or less, than a recipe requireds. I don’t lke the cakes its self sweet as the toppings are also reduced. This way anyone can eat more cake! hey are you the presenter from hugh’s fat fight? It’s a programme on bbc? Intelligent article with proofs to show. Well done! Very interesting sugar comparison. I was surprised that high sugar cake was fall apart tender and the low sugar was flat. Do you ever work with sugar free cakes? My mom is diabetic andD I have been using sugar free cake mix but would like to have a from scratch recipe. I bake sucrose free quite frequently. I usually use a combination of half fructose and half alternate sweetener such as Splenda or stevia in its 1 to 1 measure form. Fructose has gotten a bad rap in the last few years. But when used properly in a healthy diet it is a great sweetener that does not have the blood sugar effects of other sugars and still has a nice sweet taste. Also, fructose is more hygroscopic than sucrose so it attracts moisture and allows for a nice moist cake. thanks for that tip. my parents are both diabetic and I’ve always tried to cut the sugar in my baking due to their condition. I will have to look for fructose next time. This is interesting! Thank you for the post. I suspect the leavening effect has more to do with the amount of air that is whipped into the cake during the creaming process. Historically, a pound cake was only leavened mechanically by whipping the sugar and butter. I’ve experimented with using larger grains of sugar and it seems to make a difference. The idea is that the grains of sugar, as they move through the butter, create little air pockets, which are responsible for oven spring and are nucleation points for chemical leaveners and serve to capture the gas that they produce. This is awesome! I had no idea that sugar did so many things for a cake. And I love that you actually did a baking comparison to show what no sugar, etc. can do for a cake. 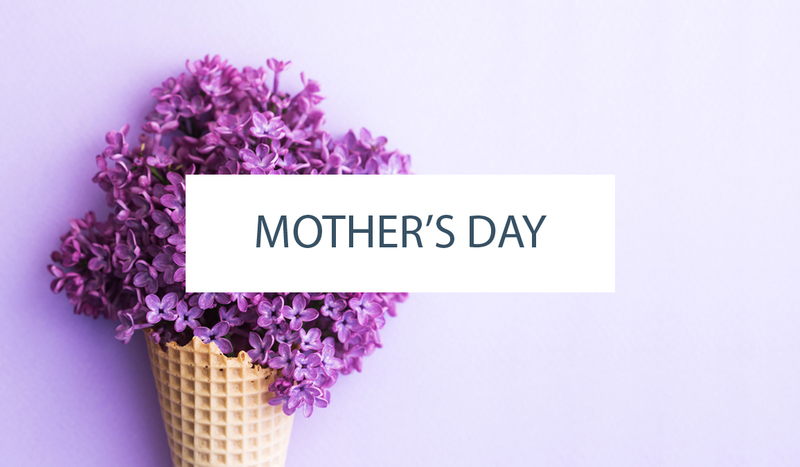 I use a recipe which is 4 cups of sugar with 5 cups of flour… It has been favoured by all but one client who told me it was disgusting and far too sweet. Do you think it’s possible to cut by a half or even one cup of sugar? I don’t eat cake myself, so can’t really experiment. Thanks for doing these tests, with pictures! 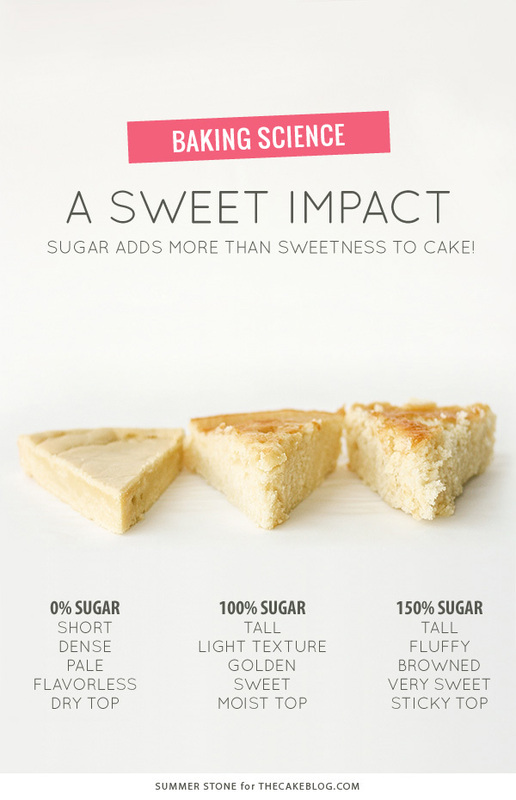 I’ve always worried about using too much sugar in my baking, so this info is really helpful! I’m sharing with all my baking pals! Again, thanks! I would love to know the answer to this question also! hi,btw i need your help,if i use 4 cups flour ,how much sugar should i use ? How much sugar is required for making fondant cake…can you please help me .. i dont hiw it will taste if i add sugar in cake‚buttetcream‚and fondant???? This is exactly what I figured. I have been using Truvia baking mix a lot in the recent years. It was clear that some cakes turned out to be too dense. The success really depended on the type of cake I was making. For example, I got away with making Pineapple Upside Down cake with Truvia baking mix, but when I tried making a cake that was more like a pound cake, it was a complete failure. Dense and flat. I think cakes like cheesecakes would work fine with the Truvia baking mix. So, if I want to make some cakes and make them perfect, I’ve got to use the 100% sugar called for in the recipe. Hi! I was worried about a cake I just made using 2 cups of plain flour and 1 cup of semolina then used 3 cups of fine granulated brown sugar. Will the cake taste too sweet? Thank you so much for this informative experienced article! Hi. There are different types of sugars from different parts of the world. The Filipinos are fond of muscovado in their desserts. Indians use a thick semi solid sugar out of the juice of sugar cane or the toddy palm- jaggery, in many of their desserts. The Sri Lankan’s make a brown sugar and syrup out the sap of the fish tail palm. Malaysians (gula Melaka) and Indonesians make a semi solid palm sugar out of the sap of the coconut flower. Cambodians make a granulated palm sugar too. I have experimented with some and find that they work well in place of white caster. Taste wise they are a great improvement too. There are textural differences though because of the original state of the sugars. Most of these sugars are shades of brown and therefore will affect the colour of the cake. I reccomend them though for variety.